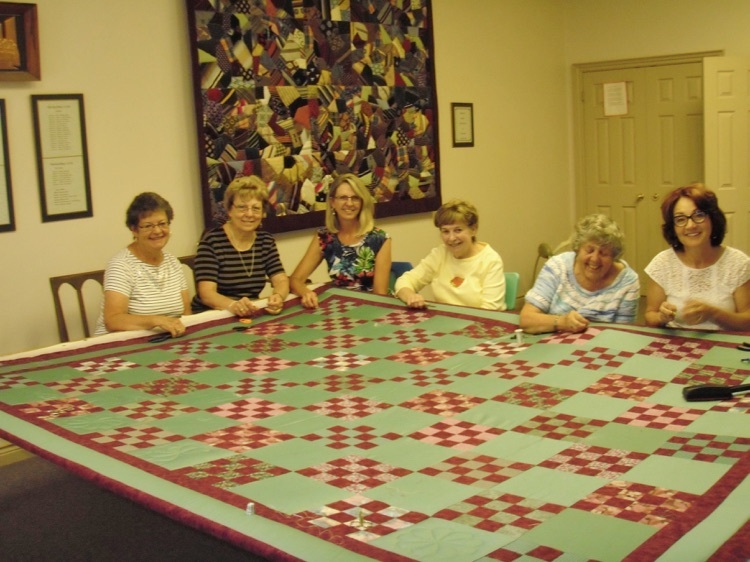 The quilters meet usually on Wednesday mornings at 8:30 am at Nobleton United Church. Anyone in the community who likes to sew in a group setting is welcome. The quilters bring their own lunches and enjoy a tea or coffee break together at noon and then continue until about 2 pm. The time is flexible. The quilters do custom work, and quilts for sale at Nobleton United’s Annual Bake and Craft Sale in late October. 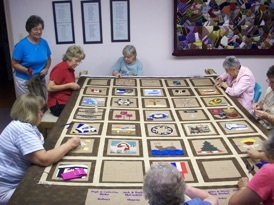 They have also made and delivered about a dozen lap quilts to Senior Nursing homes in the area recently. Contact Fran Bones for more information at 416-573-3819. Linda Olsen, Fran Bones, Carol Kozopas, Pat Platt, Carol Sharer and Antoinette Rossi.